Wray & Nephew, the Jamaican rum producer, last night (June 7) unveiled a 50-year-old rum to celebrate 50 years of Jamaican independence. Prime minister Portia Simpson Miller attended the launch which was held at Jamaica House in the island’s capital, Kingston. Wray & Nephew managing director, Paul Henriques, told Drinks International that the 800 75cl bottles of ‘Jamaica Independence Reserve’ will retail for US$5,000. It will be launched in Canada, W&N’s major export market, next week followed by the US (New York) the following week. 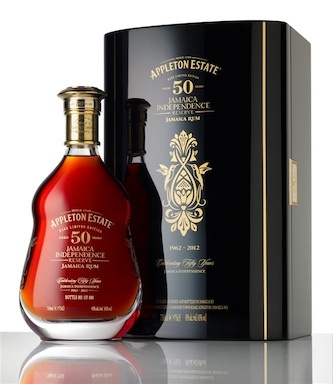 He described the 50-year-old 45% abv blend of Jamaican rums from the Appleton estate, as the “oldest rum available for sale in the world” and a “truly rare, exceptional rum”. The Jamaican prime minister described the 50-year-old rum as a “patriotic spirit” and said the initiative coincided with the island’s history of “slavery, colonialism and independence” and represented the “spirit of the nation, one of rebirth and hope”. Henriques told invited guests that the company was intending to have a 100-year-old rum for the island’s centenary. Former Jamaican prime ministers have been invited to lay down some of the 50-year-old for the next major anniversary.